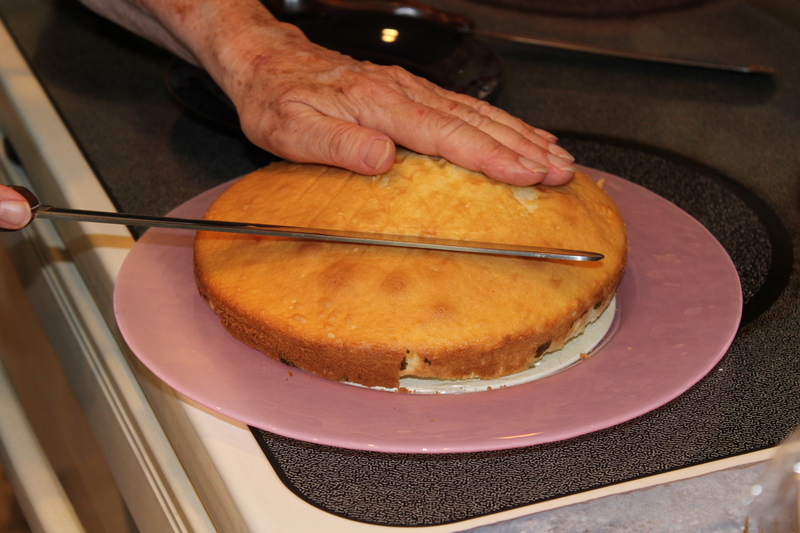 When’s the last time you baked a cake with your Mom? Luckily for me, it was just a couple of weeks ago. 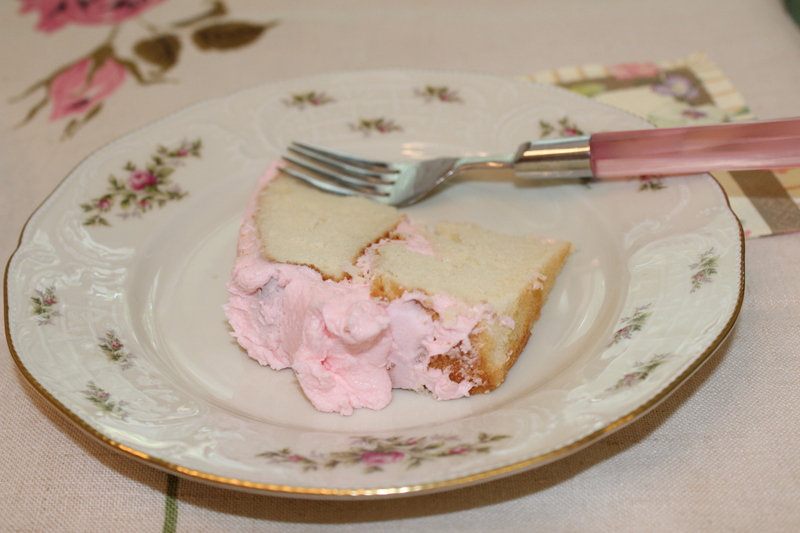 And this wasn’t just any cake – it was a melt-in-your-mouth, delicious rose geranium cake, unlike anything I’ve ever had. 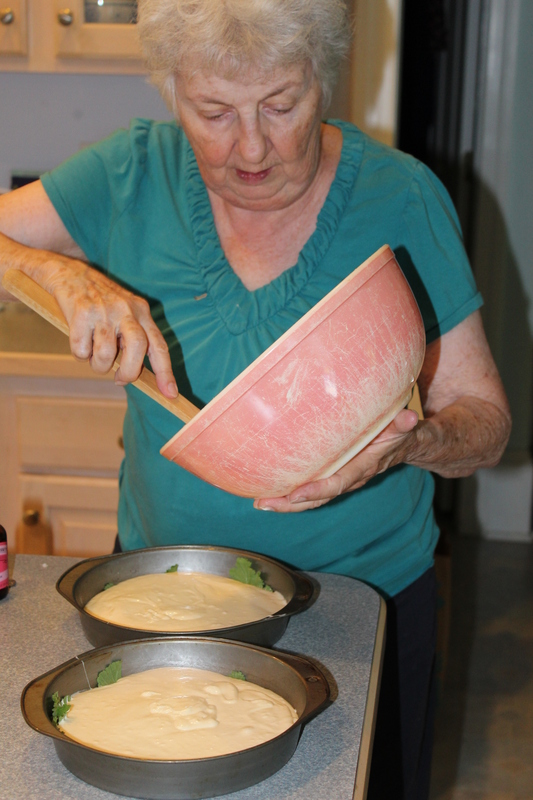 Mom had seen a recipe for this years ago and then more recently on Food Network’s TV show, “The Best Thing I Ever Made” where Chef Anne Burrell shared her Mom’s recipe for this delightful cake, infused with rose geranium leaves. 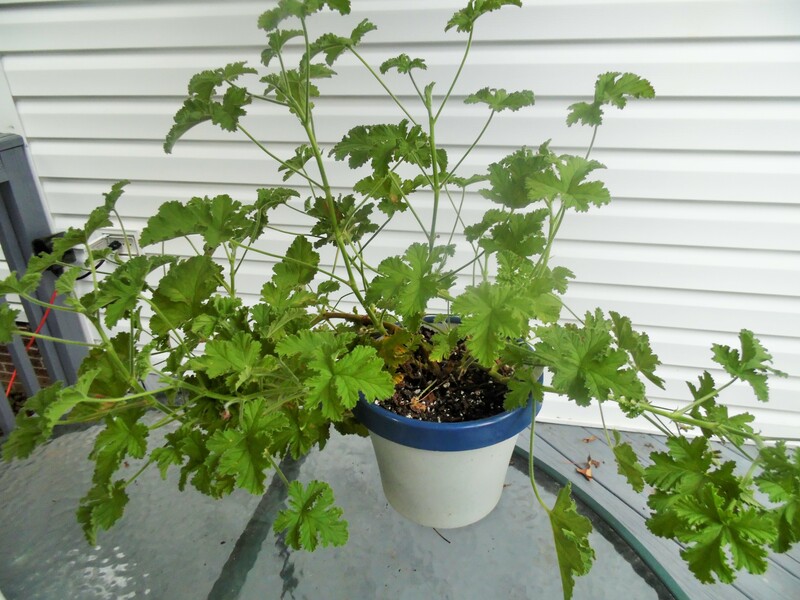 Don’t confuse a rose geranium (Pelargonium graveolens) with your everyday garden variety geranium — it is not the same. According to Kevin Lee Jacobs in Garden Design Magazine, “this plant is not technically a geranium at all, but rather, a member of the Pelargonium genus. This is a plant that really earns its keep—not only is it easy to grow, but the plant’s deeply cut, medium green, intensely fragrant leaves can be used in drinks, desserts and even in your bath as a beauty treatment.” Mom got her plant at the Wake Forest Herb Fest, but I imagine you could get them at a nursery/greenhouse. 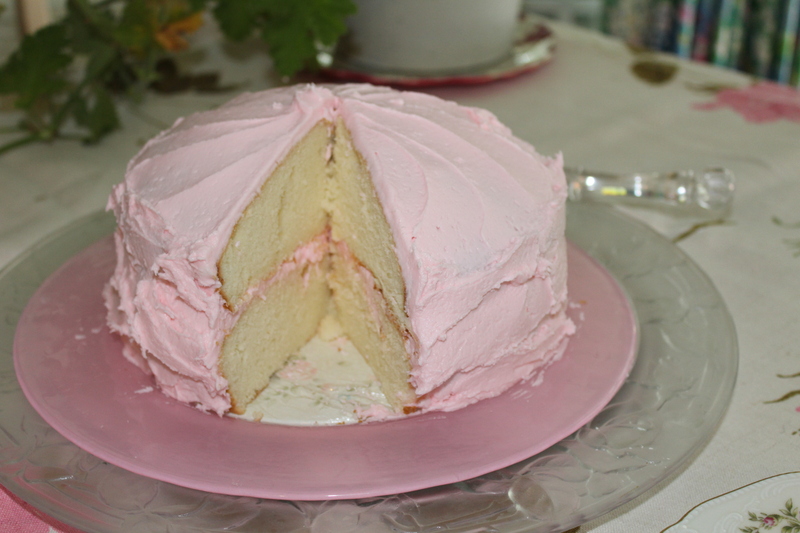 This would be a great cake to serve at a baby or bridal shower, or a little (or big) girl’s birthday party. 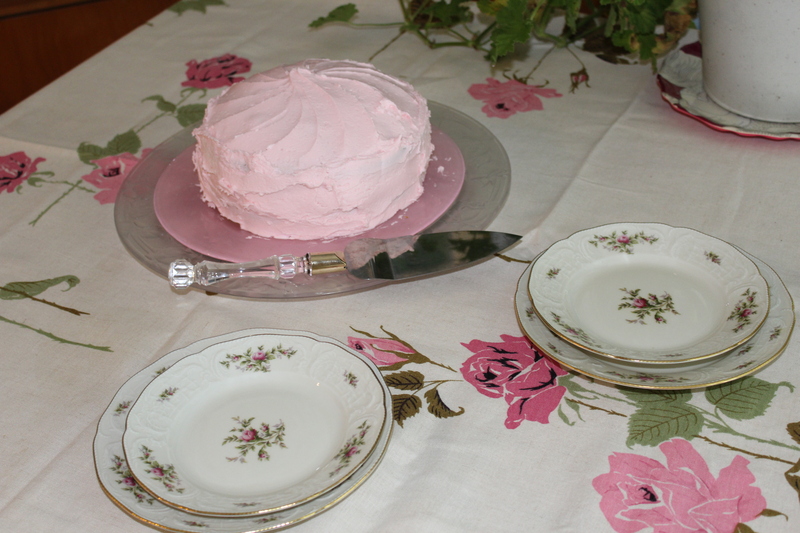 And by the way, if you don’t have a rose geranium, that’s okay — go bake your favorite cake with your Mom today! Preheat oven to 350 degrees F. Grease each cake pan and line with parchment paper. 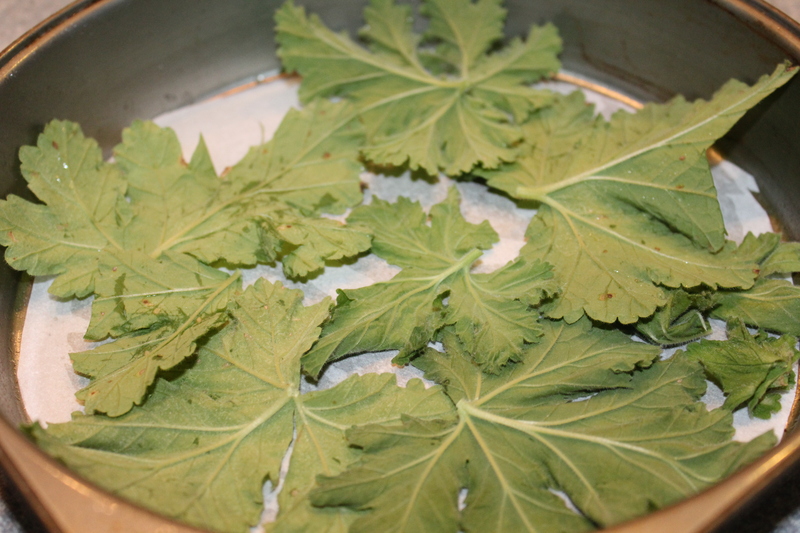 Rub rose geranium leaves together (face to face) to release oils. Trim stems and place face down on top of the parchment paper, trying not to leaves go up the side of the pan if possible. 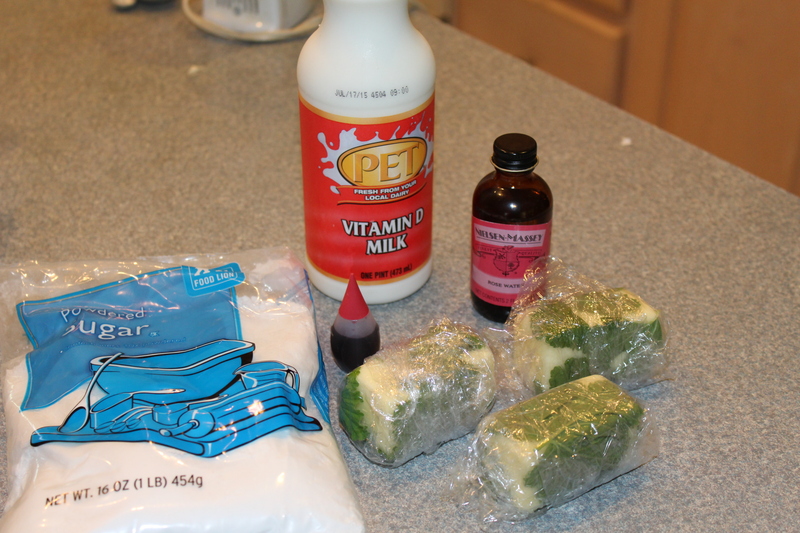 Using an electric mixer, blend together cake mix, eggs, water and oil for the time specified on the package. Add in rosewater and beat until blended. Evenly split the batter between each pan. Bake as directed, remove from oven when the layers pass the clean toothpick test, and let cool. 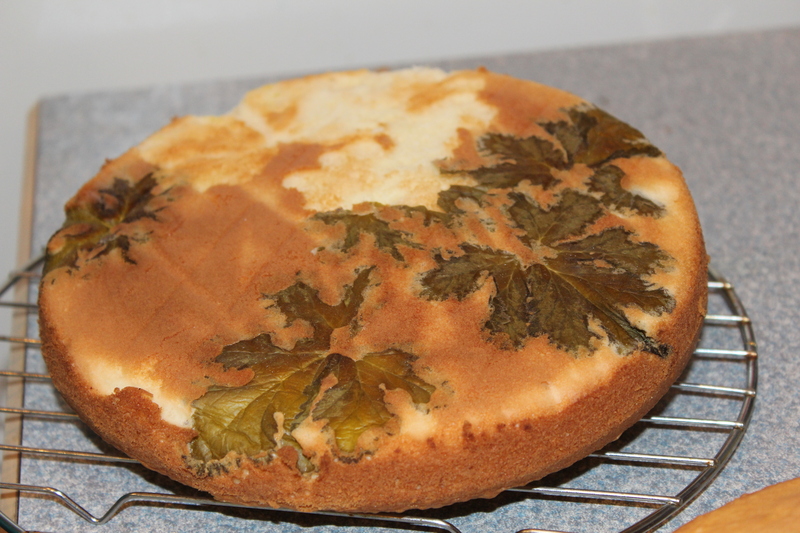 Remove the leaves from each cake. 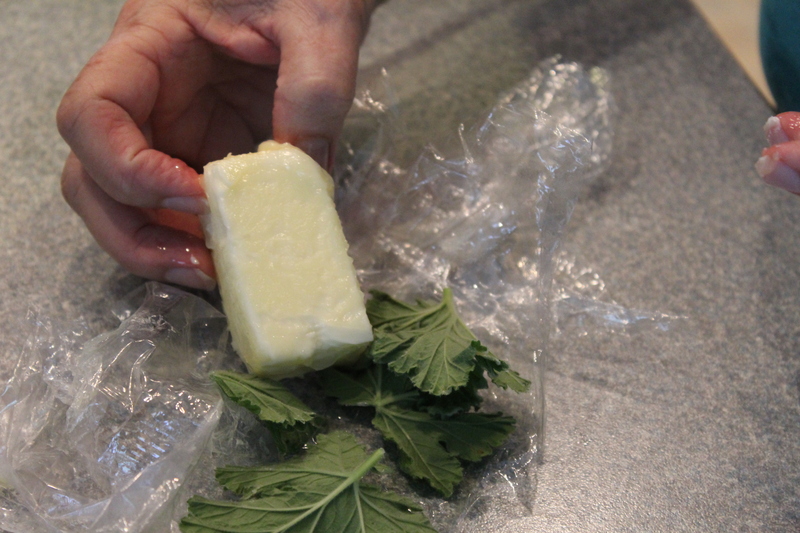 Wrap the butter with the geranium leaves. Refrigerate overnight. 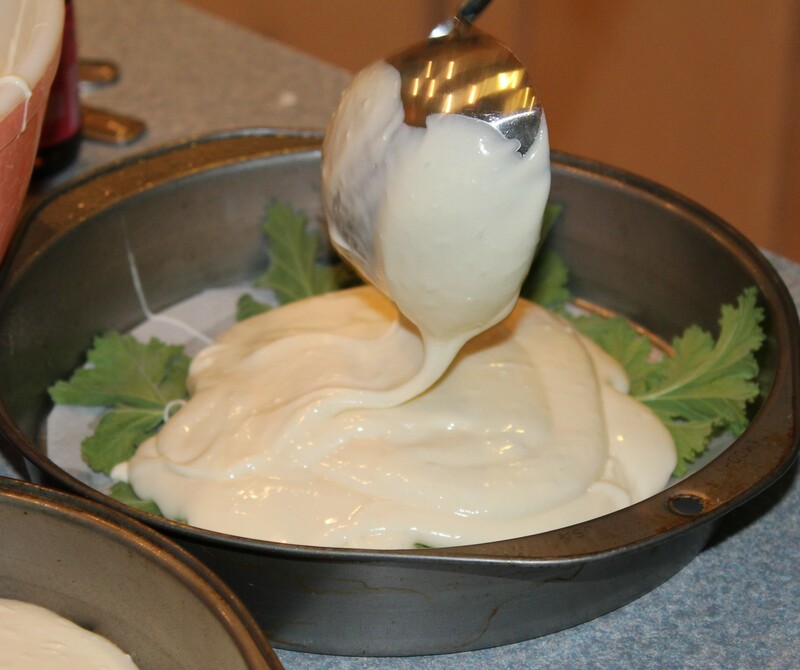 Remove leaves from butter right before you make the frosting. 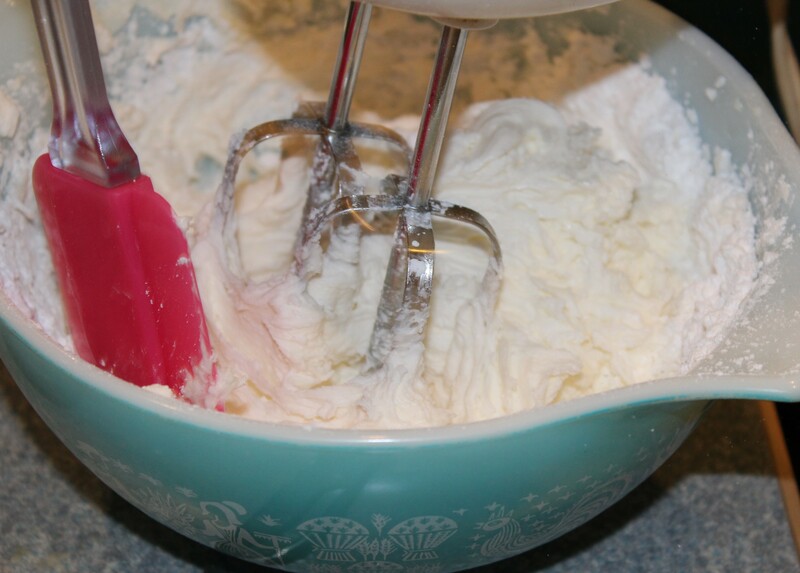 In a large bowl, cream the butter, 1 cup of the sugar, 1 tablespoon milk and salt. 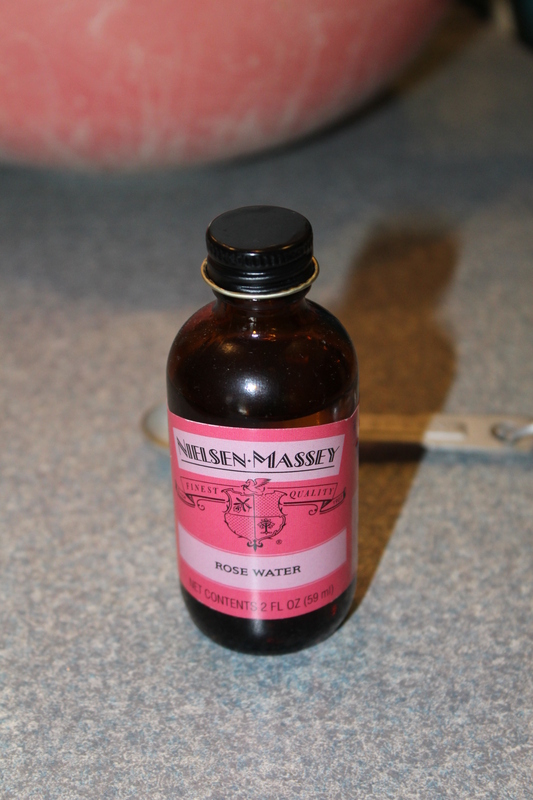 Beat in the rose water. 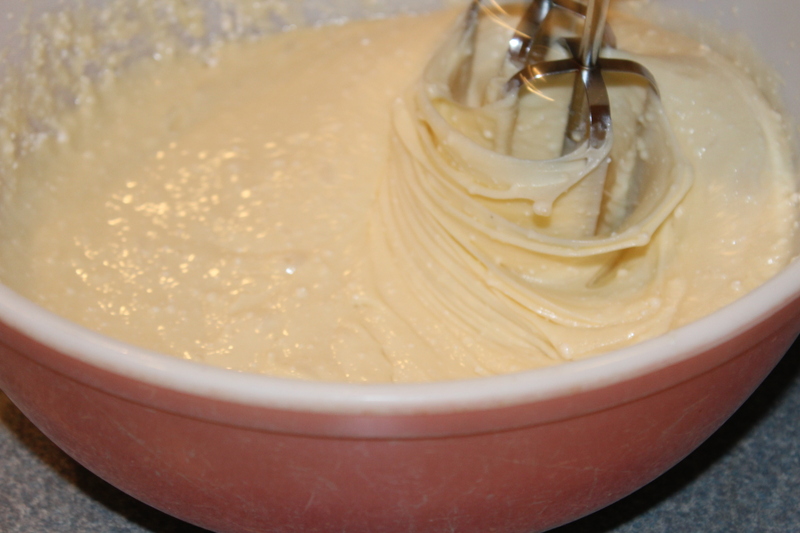 Continue to add sugar and milk, beating on high until the frosting reaches desired consistency. 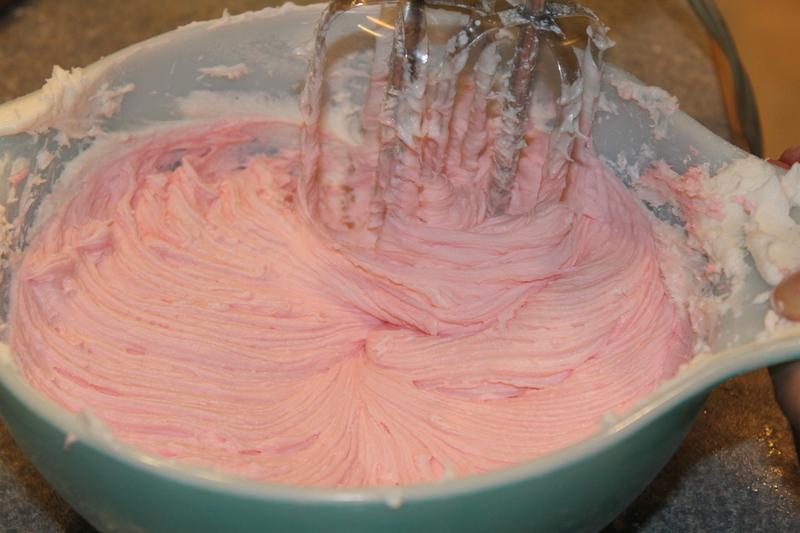 Add a few drops of food coloring to make the frosting a pretty pink. 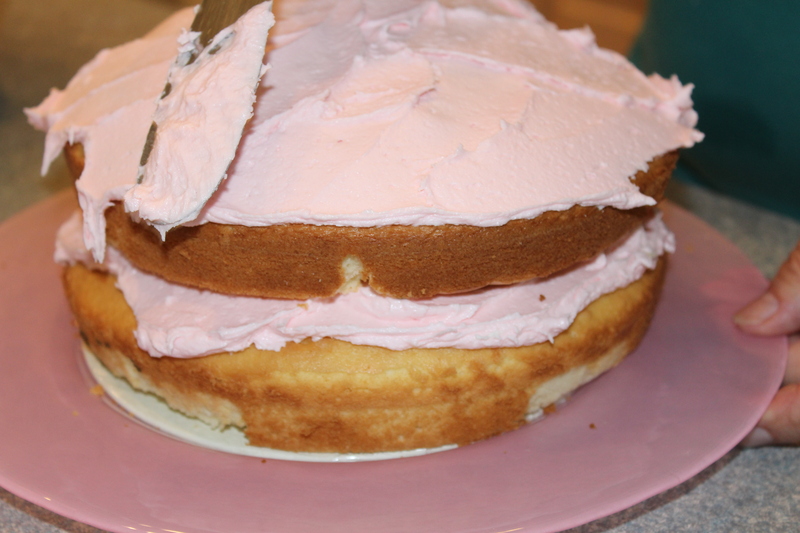 You may have to cut off the top of one of the cakes to make it even. Frost the tops of the layers first. Mom goes all out with her beautiful table – notice the dainty rose china and the pretty tablecloth, which makes it look all so inviting! 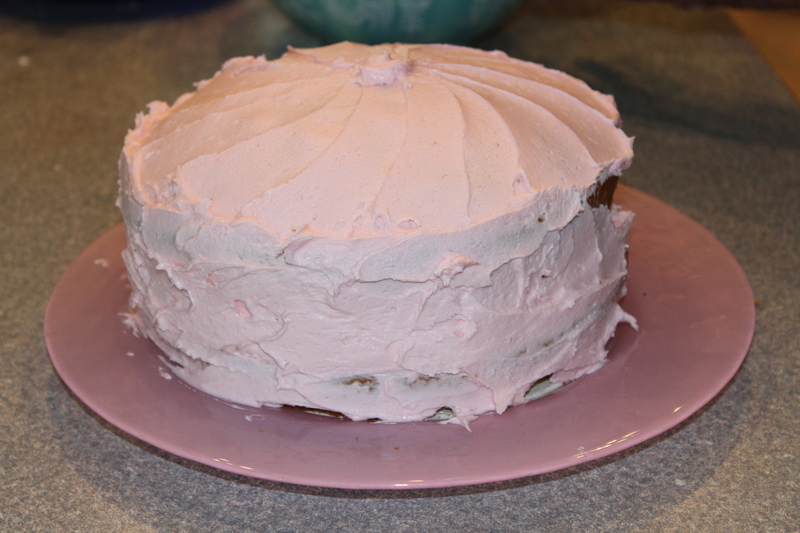 This entry was posted in Desserts, Recipes and tagged Cake recipes, Chef Anne Burrell recipes, eat drink and be merry, Food Network recipes, Kel's Cafe dessert recipes, Kelley Chisholm recipes, Rose geranium cake with rose buttercream frosting. Bookmark the permalink.